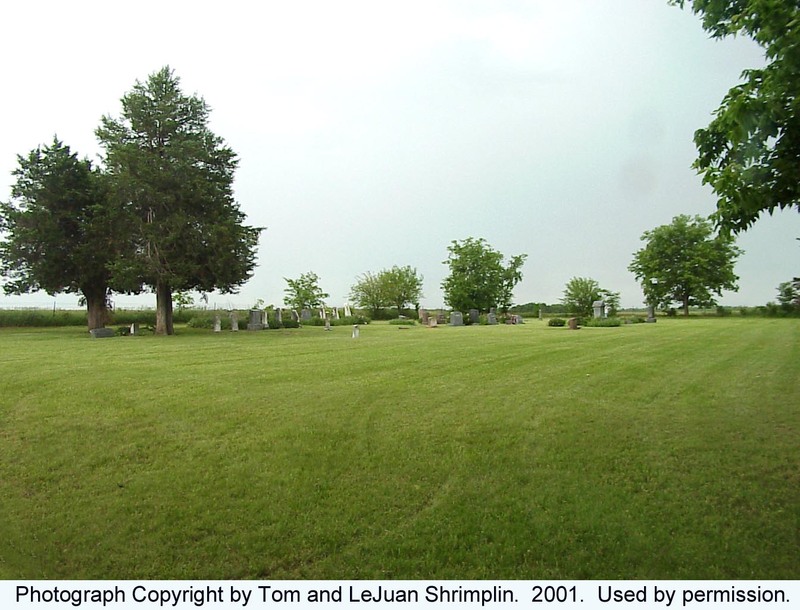 Historical Note: Land for this cemetery was given by Gov. J. S. Harvey, and earliest tombstone here is that of his daughter, Nancy who died 11 July 1862, age 4 months, 12 days. 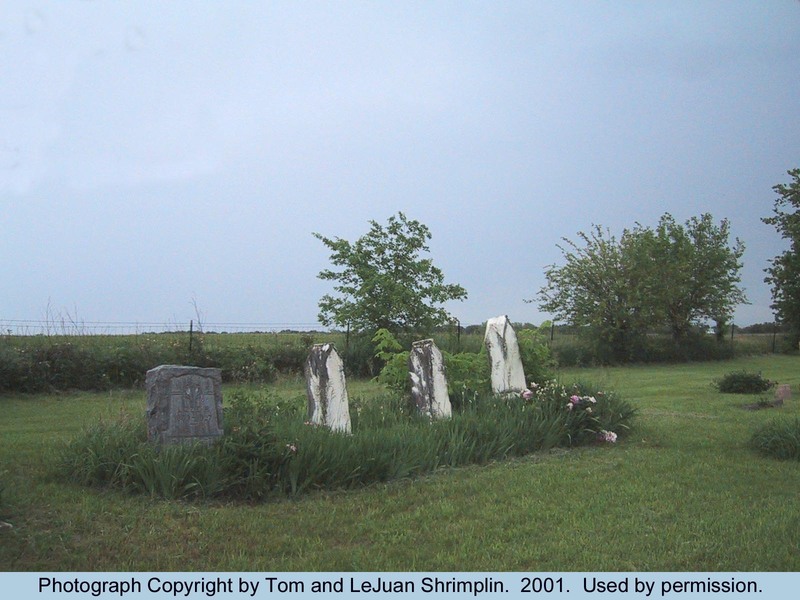 This area was in the old Seven Mile township, Riley County until the reorganization of counties when it went to Geary County. Directions: At the intersection of I70 and Highway 77, go north 9.9 miles to Dundon Road. Turn right (east). Follow Dundon Road .5 miles to Range Road. This winding road is next to the border of Ft. Riley Military Reservation. Follow Range Road 2.5 miles. 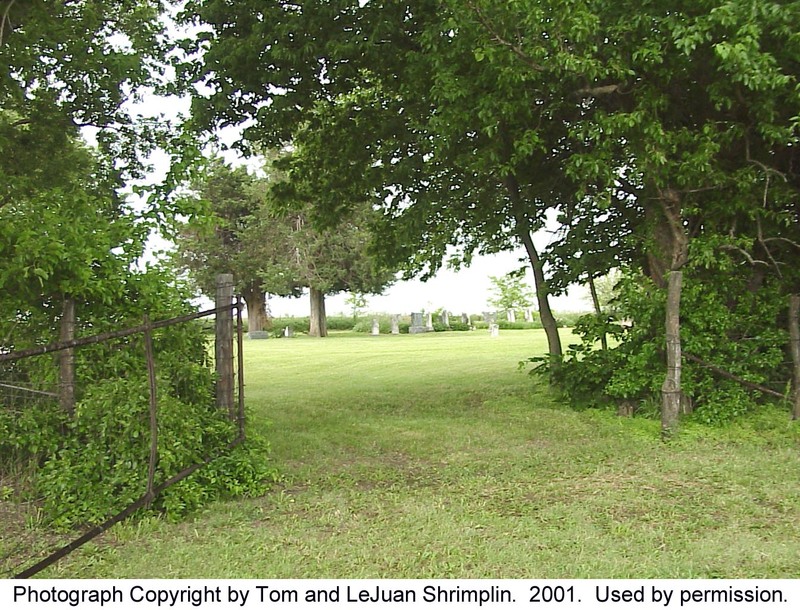 About 200 yards south of the road, in a field is this old cemetery which is bounded on the west by a row of trees.